Scottish playwright Rona Munro, of TV’s “Dr. 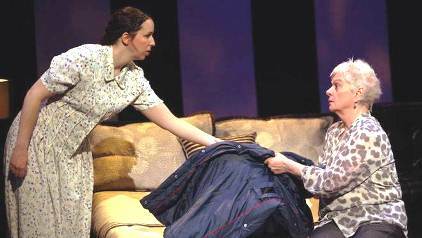 Who” series, is also respected for her contributions to the contemporary British theatre. “IRON” refers to the metal endemic to a prison, but also refers albeit obliquely, to the indomitability of the spirit. This 4-member play is a serious study into the human psyche and a thought-provoking challenge for actor & audience. What kind of a production could possibly attract Susan Anton; Corbin Bleu; John Stamos & Drew Carey to perform at the Hollywood Bowl? 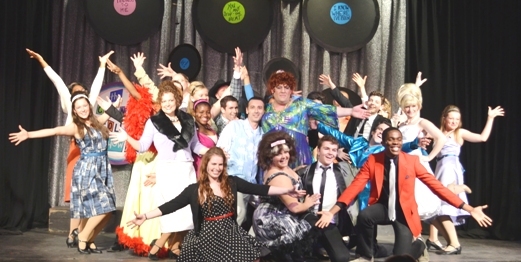 Not a fundraiser or telethon, but rather a 2011 performance of “HAIRSPRAY”. Version -The Shaiman & Whittman musical adaptation of John Waters’ 1988 movie film. In this riveting play from Daniel MacIvor, one of Canada’s most respected playwrights, three women – a mother, a daughter and a therapist – are on the brink of change. We see Leda in her therapist’s office, desperately alternating between wringing her hands, crushing her handbag and crossing and uncrossing her legs. Clearly something is on her mind. Admission: – my favorite revenge tales are Dumas’ “Monte Cristo”; Boorman’s ’67 flic “Point Blank”, & Shakespeare’s “Titus Andronicus”. Sondheim’s SWEENEY TODD with its repetitious lyrics and melodies seems uninspired by comparison. Last night, I witnessed a preview of young director Adam Brazier’s take and my opinion did a180◦. Lovett (Rexhepi) & her rolling pin …Todd (Haidar) & his razor!